Copy pasting a list of all of one youtubers videos and sorting them to create a tabled directory of channels content for easy searching. Helping to bridge the divide between video/audio and text, I think it’s useful to have some particularly good videos transcribed into essays so they can be dissected and discussed. 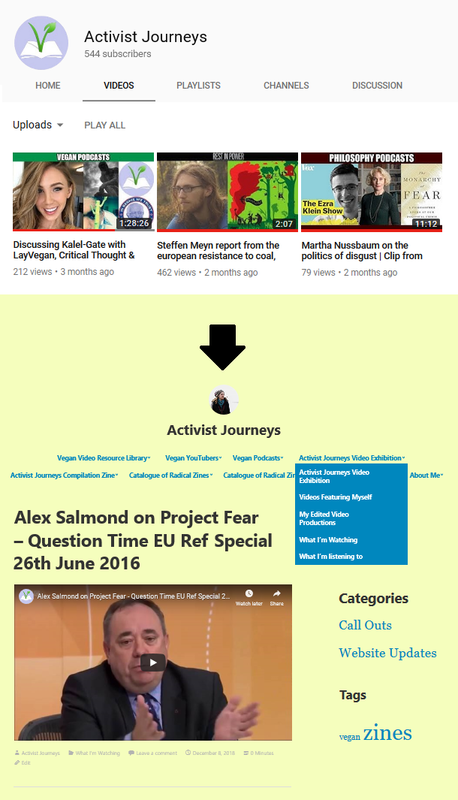 This Wiki has evolved from the forum as a way to focus our effort and collaborate to bring all of the knowledge and arguments together in a more structured and digestible way without having to dig through lengthy discussions, but those discussions themselves are still hosted on the forum (and are often ongoing), so that’s an important way to get started. This is a meta-activism wiki, meant as a resource for vegans and our allies working toward environmental and animal welfare ends, but it may also be helpful as an information source for anybody interested in these topics. 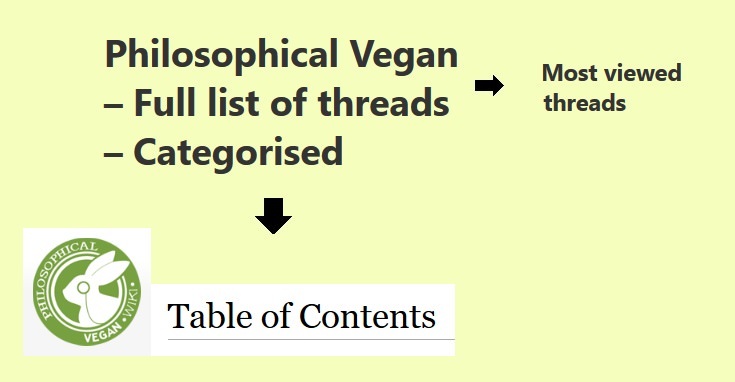 While we’re happy for non-vegans to read the wiki and be convinced of veganism, the Wiki itself is written to provide more in-depth information for people already interested in the subject rather than as outreach, and as such the tone of articles is often very different from what we would recommend for outreach (beware: some articles may be slightly snarky). List of forum threads sorted by most popular. A channel to promote campaigns, exhibit educational resources, archive movement history and storybook my life/interests. I’m going to start posting all my videos to this website because I just think it’s a nicer user experience. People who make articles linking my articles get pingbacks, there’s less of a divide between commenters and creators when people can easily create great text blogs, you’re not distracted by tons of clickbait only category’s of other posts to look back on, etc. I recommend everyone getting an RSS aggregator like feedly.com for this reason, so you don’t spend hours browsing through social media when you can choose exactly who you want to be updated by from various websites, that way any other time you spend online can be limited to meaningfully researching subjects. List of podcasts sorted by theme. 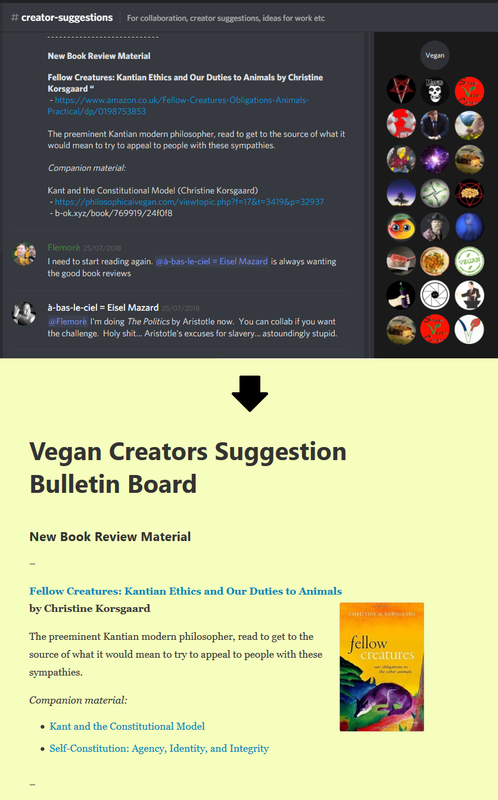 And I plan to create a great big file dump of old vegan podcast episodes with archive.org, all in one place and easy to download individually and in batches.